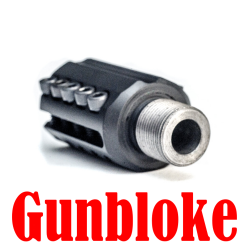 Our clamp on threaded adapter allows you to install threaded muzzle devices such as muzzle brakes without altering your barrel. 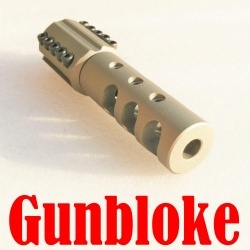 Milled from solid 416 stainless steel bar stock to exactly fit your barrel, available in nearly any caliber and threaded 5/8-24. Finish options include tumbled stainless (matte) as well as Cerakote finishes. PLEASE NOTE: We need measurements of your barrel at the muzzle and 1.625″ back in thousandths of an inch or hundredths of a millimeter. 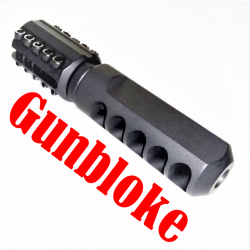 $30 discount applies if bundled with a Gunbloke Muzzle Brake in your ORDER.